Abstract：Ambient noise tomography can image the crustal seismic velocity structure, and further provide observational evidence for better understanding the structural and physical properties within the crust. Here, we used the ambient noise tomography method to study S wave velocity and radial anisotropy beneath the eastern tectonic boundary belt between the North China Craton and South China Block with seismic data recorded by a Hefei-Jinhua portable seismic array. Our results indicate that bounded by near 118°E-118.5°E, the northwestern part of the profile shows low velocity in the crust and positive radial anisotropy in the mid-to-lower crust, while the southeastern part exhibits relatively high velocity in the crust and negative radial anisotropy in the lower crust. Based on these tomographic results, we infer that the differences of S-wave velocity and radial anisotropy are associated with variations of crustal materials and temperature, which could be attributed to two distinct magmatic and volcanic activities experienced by the two areas since the late Mesozoic. Bensen G D, Ritzwoller M H, Barmin M P, et al. 2007. Processing seismic ambient noise data to obtain reliable broad-band surface wave dispersion measurements. Geophysical Journal International, 169(3):1239-1260. Chang L J, Wang C Y, Ding Z F. 2009. Seismic anisotropy of upper mantle in eastern China. Science in China (Series D)-Earth Science, 52(6):774-783. Chen L, Tao W, Zhao L, et al.2008. Distinct lateral variation of lithospheric thickness in the Northeastern North China Craton. Earth and Planetary Science Letters, 267(1-2):56-68. Cheng C, Chen L, Yao H J, et al. 2013. Distinct variations of crustal shear wave velocity structure and radial anisotropy beneath the North China Craton and tectonic implications. Gondwana Research,23(1):25-38. Dziewonski A, Bloch S, Landisman M. 1969. A technique for the analysis of transient seismic signals. Bulletin of the Seismological Society of America, 59(1):427-444. Gilder S A, Keller G R, Luo M, et al. 1991. Eastern Asia and the Western Pacific timing and spatial distribution of rifting in China. Tectonophysics, 197(2-4):225-243. Griffin W L, Andi Z, O'reilly S Y, et al. 1998. Phanerozoic evolution of the lithosphere beneath the Sino-Korean craton.//Flower M F J, Chung S L, Lo C H eds. Mantle Dynamics and Plate Interactions in East Asia. Washington, DC:American Geophysical Union, 107-126. Herrmann R B. 1973. Some aspects of band-pass filtering of surface waves. Bulletin of the Seismological Society of America, 63(2):663-671. Herrmann R, Ammon C. 2004. Surface waves, receiver functions and crustal structure.//Computer Programs in Seismology, Version 3.30. Saint Louis:Saint Louis University. Kennett B L N, Engdahl E R, Buland R. 1995. Constraints on seismic velocities in the Earth from traveltimes. Geophysical Journal International, 122(1):108-124. Li X H. 1999. U-Pb zircon ages of granites from the southern margin of the Yangtze Block:timing of Neoproterozoic Jinning:Orogeny in SE China and implications for Rodinia Assembly. Precambrian Research, 97(1-2):43-57. Li X H. 2000. Cretaceous magmatism and lithospheric extension in Southeast China. Journal of Asian Earth Sciences,18(3):293-305. Li Z X, Li X H. 2007. Formation of the 1300 km-wide intra-continental orogen and post-orogenic magmatic province in Mesozoic South China:a flat-slab subduction model. Geology, 35(2):179-182. Li X H, Li W X, Wang X C, et al. 2010. SIMS U-Pb zircon geochronology of porphyry Cu-Au-(Mo) deposits in the Yangtze River Metallogenic Belt, eastern China:magmatic response to early Cretaceous lithospheric extension. Lithos, 119(3-4):427-438. Lin F -C, Moschetti M P, Ritzwoller M H. 2008. Surface wave tomography of the western United States from ambient seismic noise:Rayleigh and Love wave phase velocity maps. Geophysical Journal International, 173(1):281-298. Ludwig W J, Nafe J E, Drake C L. 1970. Seismic refraction.//Maxwell A E ed. The Sea. New York:Wiley-Interscience. Shapiro N M, Campillo M, Stehly L, et al. 2005. High resolution surface wave tomography from ambient seismic noise. Science, 307(5715):1615-1618. Shu L S, Zhou X M. 2002. Late Mesozoic tectonism of Southeast China. 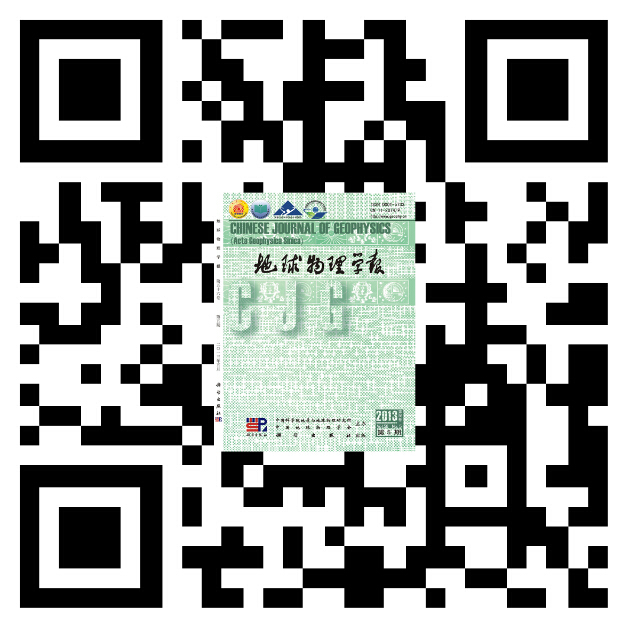 Geological Review (in Chinese), 48(3):249-260. Wang Q, Gao Y. 2012. Present state and prospect of ambient noise tomography in the study of crust mantle structure. Earthquake (in Chinese), 32(1):70-81. Wu F Y, Xu Y G, Gao S, et al. 2008. Lithospheric thinning and destruction of the North China Craton. Acta Petrologica Sinica (in Chinese), 24(6):1145-1174. Wu F Y, Ji W Q, Sun D H, et al. 2012. Zircon U-Pb geochronology and Hf isotopic compositions of the Mesozoic granites in southern Anhui Province, China. Lithos, 150:6-25. Xu J H, Sun S, Li J L. 1987. South China:an orogen rather than a platform. Science in China (Series B),17(10):1107-1115. Zhao G C, Cawood P A. 1999. Tectonothermal evolution of the Mayuan Assemblage in the Cathaysia Block; implications for Neoproterozoic collision-related assembly of the South China Craton. American Journal of Science, 299(4):309-339. Zhao G C, Wilde S A, Cawood P A, et al. 2001. Archean blocks and their boundaries in the North China Craton:lithological, geochemical, structural and P-T path constraints and tectonic evolution. Precambrian Research,107(1-2):45-73. Zhao G C, Sun M, Wilde S A, et al. 2005. Late Archean to Paleoproterozoic evolution of the North China Craton:key issues revisited. Journal of Asian Earth Sciences,136(2):177-202. Zhao L, Zheng T Y, Lu G. 2013. Distinct upper mantle deformation of cratons in response to subduction:constraints from SKS wave splitting measurements in eastern China. Gondwana Research, 23(1):39-53. Zheng T Y, Zhao L, Xu W W, et al. 2008. Insight into modification of North China Craton from seismological study in the Shandong Province. Geophysical Research Letters, 35(22):L22305, 113-130. Zheng T Y, Zhao L, He Y M, et al. 2014. Seismic imaging of crustal reworking and lithospheric modification in eastern China. Geophysical Journal International, 196(2):656-670, doi:10.1093/gji/ggt420. Zheng T Y, Yang J H, He Y M, et al. 2015. Seismological constraints on the crustal structures generated by continental rejuvenation in northeastern China. Nature Scientific Reports,5:14995, doi:10.1038/srep14995. Zhou X M, Li W X. 2000. Origin of Late Mesozoic igneous rocks in Southeastern China:implications for lithosphere subduction and underplating of mafic magmas. Tectonophysics, 326(3-4):269-287. Zhou X M, Li W X. 2000. Late Mesozoic volcanic genesis in SE China:a model combining lithosphere subduction with basaltic magma underplating. Progress in Nature Science (in Chinese), 10(3):240-247. Zhou X M, Sun T, Shen W, et al. 2006. Petrogenesis of Mesozoic granitoids and volcanic rocks in South China:a response to tectonic evolution. Episodes, 29(1):26-33. Zhu J S, Cao J M, Cai X L, et al. 2002. High resolution surface wave tomography in East Asia and west Pacific marginal seas. 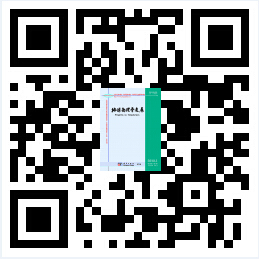 Chinese Journal of Geophysics (in Chinese), 45(5):646-664, 756. Zhu R X, Zheng T Y. 2009. Destruction geodynamics of the North China Craton and its Paleoproterozoic plate tectonics. Chinese Science Bulletin,54(19):3354-3366. 常利军, 王椿镛, 丁志峰. 2009. 中国东部上地幔各向异性研究. 中国科学 D辑, 39(9):1169-1178. 舒良树,周新民. 2002. 中国东南部晚中生代构造作用. 地质论评, 48(3):249-260. 王琼, 高原. 2012. 噪声层析成像在壳幔结构研究中的现状与展望. 地震, 32(1):70-81. 吴福元, 徐义刚, 高山等. 2008. 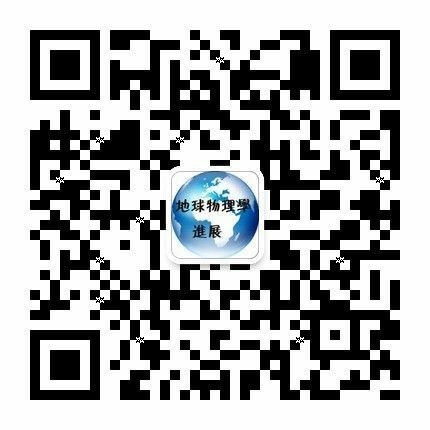 华北岩石圈减薄与克拉通破坏研究的主要学术争论. 岩石学报, 24(6):1145-1174. 许靖华,孙枢, 李继亮. 1987. 是华南造山带而不是华南地台. 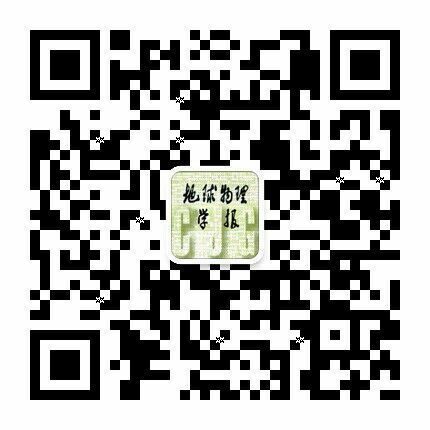 中国科学B辑, 17(10):1107-1115. 朱介寿, 曹家敏, 蔡学林等. 2002. 东亚及西太平洋边缘海高分辨率面波层析成像. 地球物理学报, 45(5):646-664, 756. 朱日祥,郑天愉. 2009. 华北克拉通破坏机制与古元古代板块构造体系. 科学通报, 54(14):1950-1961. 付媛媛, 高原. 东北地区背景噪声的Rayleigh和Love波相速度层析成像[J]. 地球物理学报, 2016, 59(2): 494-503. 欧阳龙斌, 李红谊, 吕庆田, 李信富, 江国明, 张贵宾, 史大年, 郑丹, 张冰, 李佳鹏. 长江中下游成矿带及邻区地壳剪切波速度结构和径向各向异性[J]. 地球物理学报, 2015, 58(12): 4388-4402. 张洪双, 高锐, 田小波, 滕吉文, 李秋生, 叶卓, 刘震, 司少坤. 青藏高原东北缘地壳S波速度结构及其动力学含义--远震接收函数提供的证据[J]. 地球物理学报, 2015, 58(11): 3982-3992. 唐有彩, 陈永顺, 杨英杰, 丁志峰, 刘瑞丰, 冯永革, 李鹏, 俞春泉, 魏松峤, 范文渊, 王海洋, 周仕勇, 宁杰远. 华北克拉通中部地区背景噪声成像[J]. 地球物理学报, 2011, 54(8): 2011-2022.